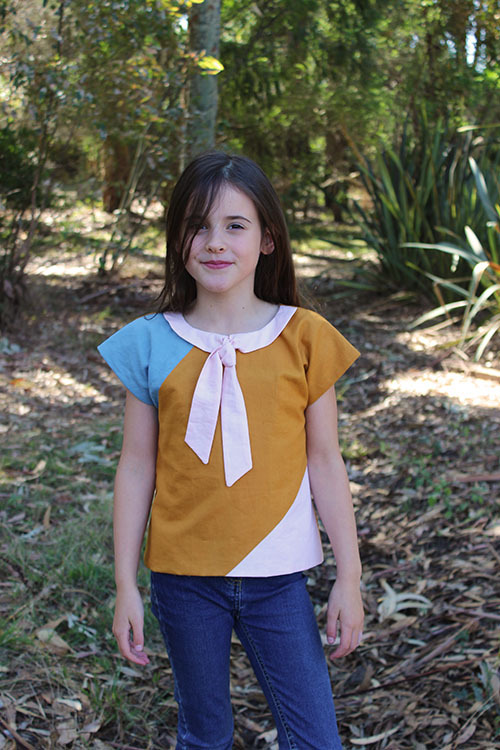 Today I am sharing a colour blocked Jeune top that I made this week for Juliette using the newly released Jeune twinset pattern. 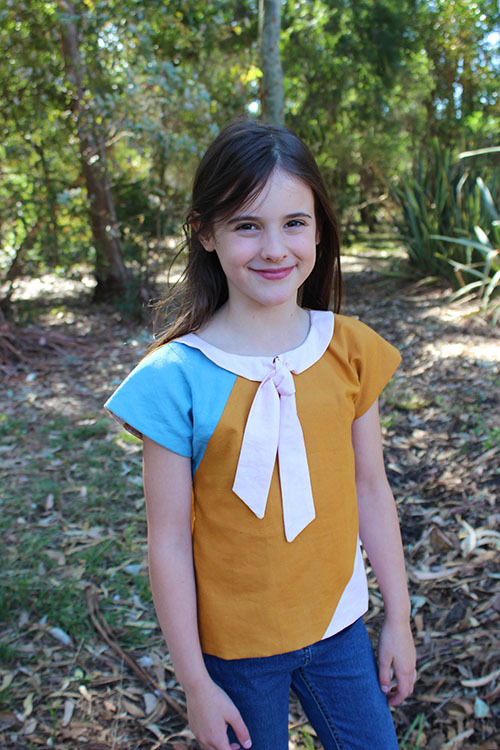 I was inspired by Deborah who made a gorgeous colour blocked top during testing. 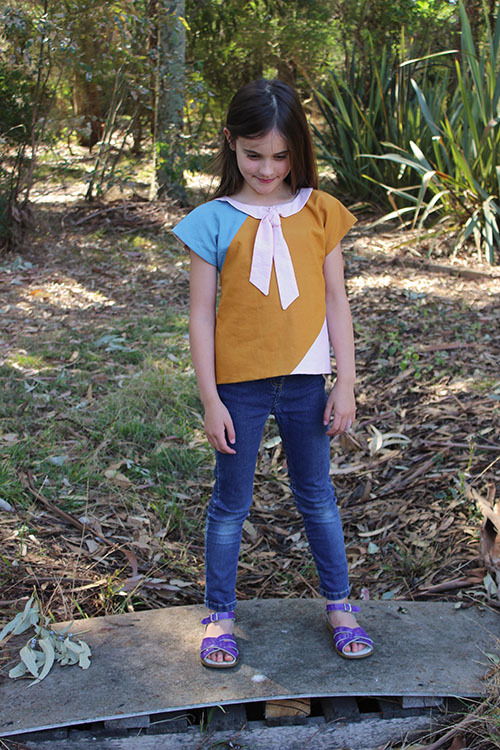 To create a colour blocked Jeune top is very simple. Just choose your dissection lines, cut the traced pattern pieces then add seam allowance to the lines that you created. I am thinking of creating a tutorial if that would be useful. Do you also know you could make a Jeune hack and tag it on IG with #sewponyhack by the end of April to be in the running to win a little prize? Just search the hashtag for more information. 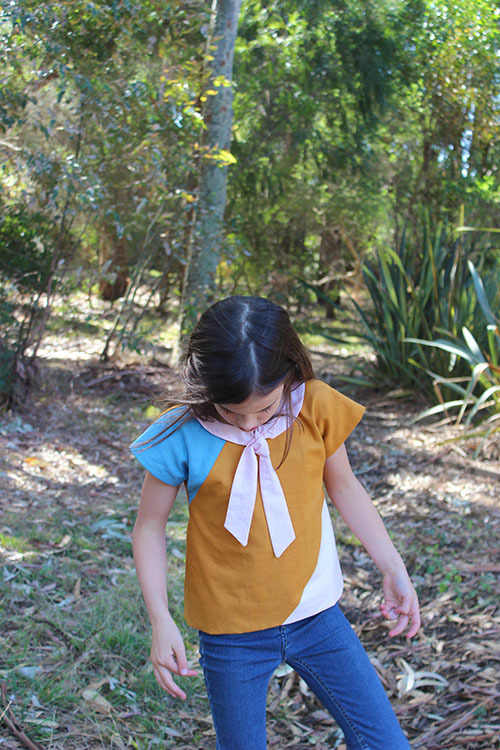 I used some gold coloured cotton I found at the op shop and some remnants of blue and soft baby pink. I used the same pink to create the tie collar. I am really pleased with how it turned out. Shortly after these photos, Juliette was eating pomegranate and dropped seeds on the tie...so it has already been washed and luckily the stains came out! 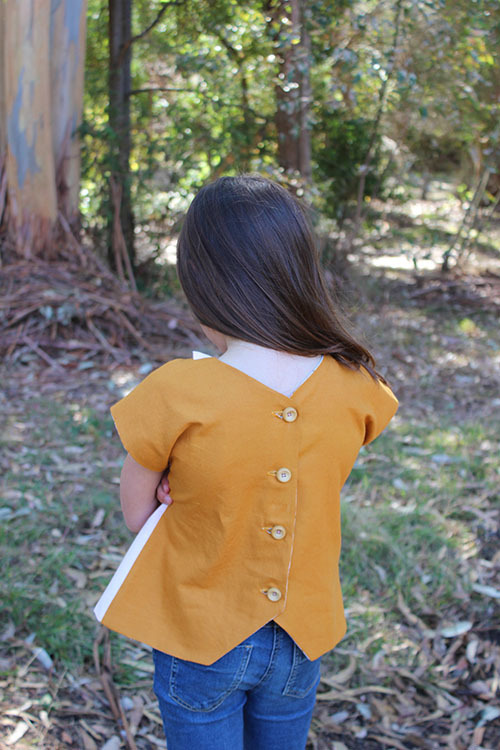 This time I made the angled back this time and used wooden buttons I also found at the op shop. 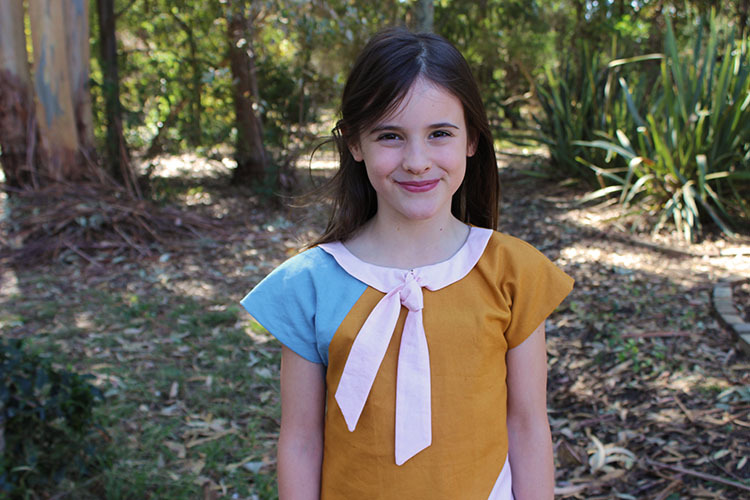 I love sewing with thrifted fabric and haberdashery so much! I have zero consumer guilt with these projects!! If you omit the interfacing in the tie collar, you collar will fall more vertically like this one. I like it both ways. 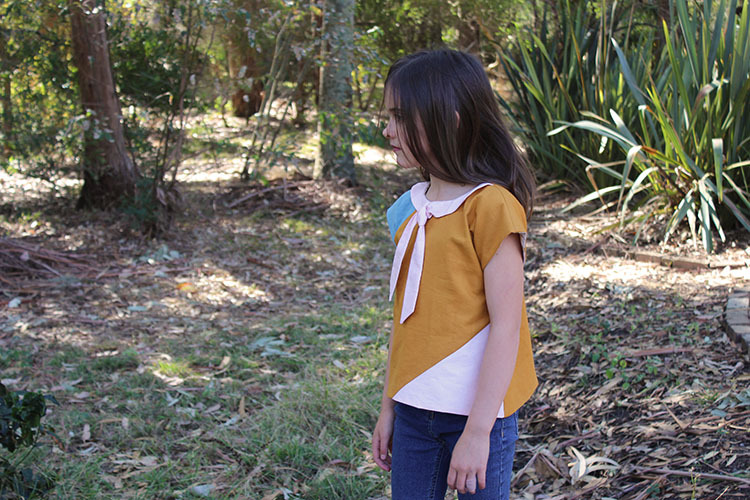 You can still use the discount JEUNERELEASE10 until 9pm tonight to receive 10% off the pattern!